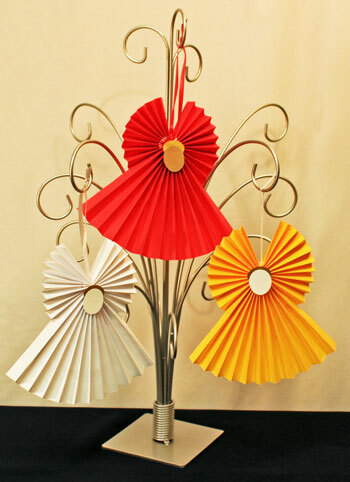 Today, we’re highlighting a paper pinwheel wreath ornament. 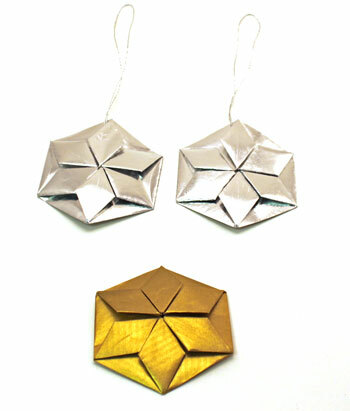 This new ornament uses a small piece of paper cut into circles and squares along with some string and glue. 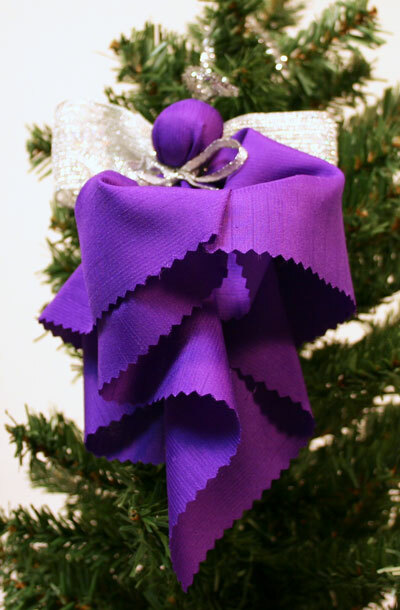 The paper pinwheel wreath ornament is both easy and inexpensive. 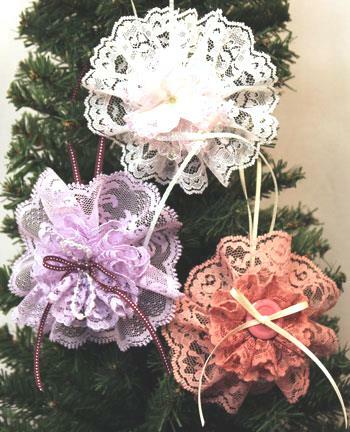 The variety for these simple paper ornaments is only limited by the paper you have available and your imagination! Plus, if you want to make the wreath larger, the steps work just the same. Just make the circles with diameters twice that of the squares. 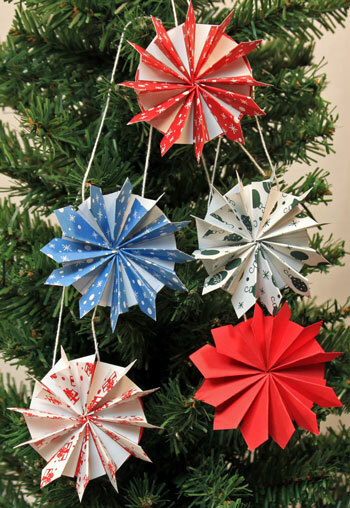 These paper pinwheel wreath ornaments have circles with two-inch diameters and twelve squares of one-inch. 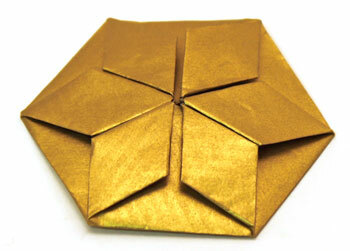 For a four-inch diameter circle, make twelve two-inch squares for the design. Visit the paper pinwheel wreath ornament page on our main web site for the list of materials and tools along with the illustrated step-by-step instructions. Enjoy making these by yourself or with family and friends. 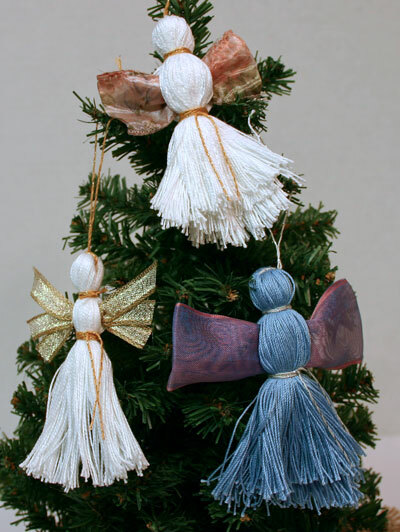 Inexpensive and easy to do, you can make a few or a lot of these Accordian Folded Paper Angel Ornaments to decorate your home, add as decorations for pretty packages or sell at school or church bazaars. 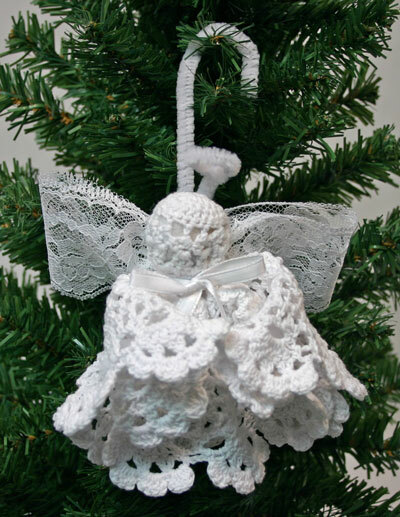 You can find more pictures along with the list of materials and tools and the steps for how to make the Accordian Folded Paper Angel Ornament on our main web site. 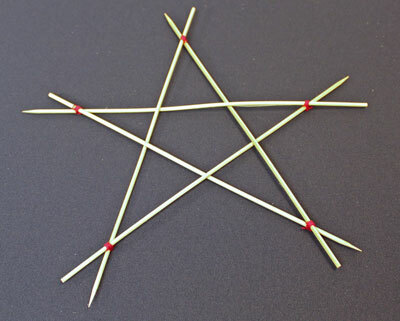 Easy and fast, children and adults alike can make these pretty little angels. They can also be a fun project for young little ones to color before final construction. 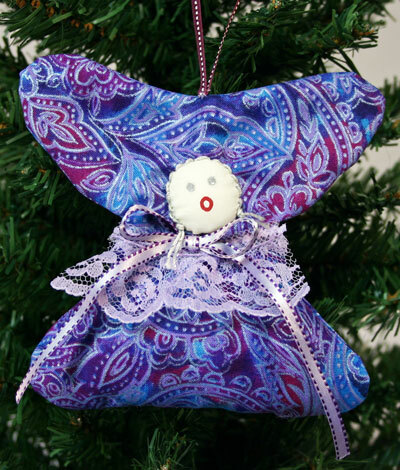 This angel is easy and inexpensive to make. 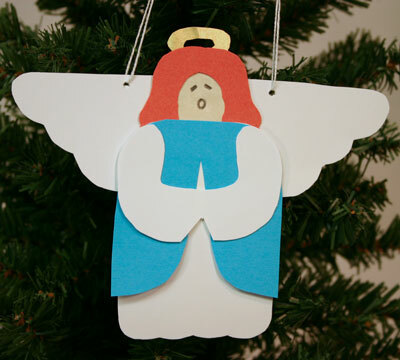 Print our pattern page and follow the easy steps found on our Paper Angel page to make one or many of these angels. 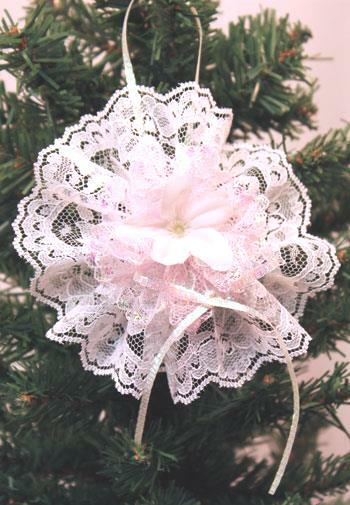 They can decorate your tree or home, embellish gifts or be place cards on your dinner table. Have fun making one or many of these angels. Hello everyone. 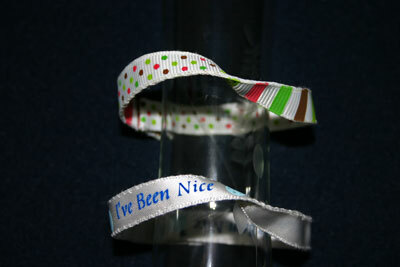 Other projects took priority over adding new fun and easy crafts to www.funEZcrafts.com. But, we’ve just added several new projects appropriate for the holidays or for anytime throughout the year. Each of these angels can be made with simple materials and tools and only take a small amount of time. 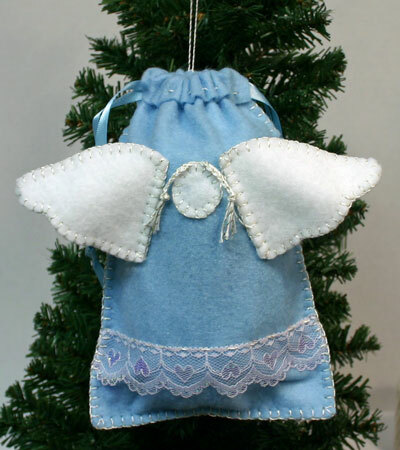 You can find links to all of these angels on our Easy Angel Crafts page. 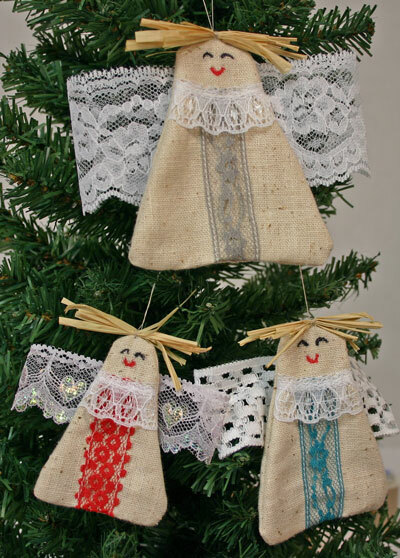 Have fun making these angels to decorate your home, give as gifts or as group projects for children or adults to do. Have you seen Mobius bracelets in stores and catalogs? Do you wonder about them? And, why are they called Mobius bracelets? We show you how to make your own Mobius bracelet using simple and inexpensive materials. 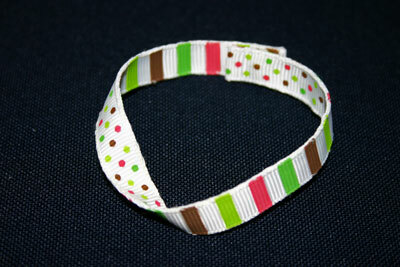 Take a look at our funEZcrafts web page: How to Make a Mobius Bracelet Out of Ribbon. The steps are easy and the results quick. Too bad, “I’ve Been Naughty” ribbon was not available. 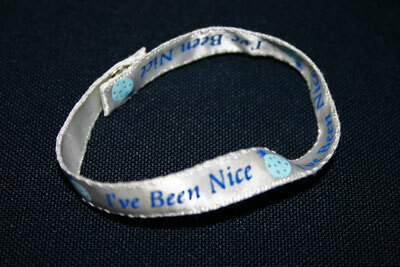 The two ribbons in one bracelet would be apropos as most people cannot be nice all the time! Have fun making your own versions of the Mobius bracelet – take a look at the how to make steps, tools and materials on our web site here: How to Make a Mobius Bracelet Out of Ribbon. There are new additions to the web site in the Christmas crafts, felt crafts, paper crafts and frugal projects. These were just added today. If you haven’t visited in awhile, take a look there may be other additions you haven’t seen.